How does the Levitt model work? It’s rooted in the community. This is not a pavilion built by strangers and then left abandoned. Levitt works because it’s a three-way partnership between the community, the city, and the Levitt Foundation. The Levitt Foundation provides support for the capital campaign, and ongoing funds to support the operation of the venue. Look no further than to McArthur Park in Los Angeles, where a Levitt Pavilion changed the course of the park. With over 50 free concerts a year, Levitt serves as a catalyst for both the park and the arts. This is a 3-way partnership between the Community, City, and Levitt Foundation. Levitt Foundation provides financial support, and a national network of communities that can provide advice and a blueprint for success. They are eager to work with San Jose as part of their growing family. 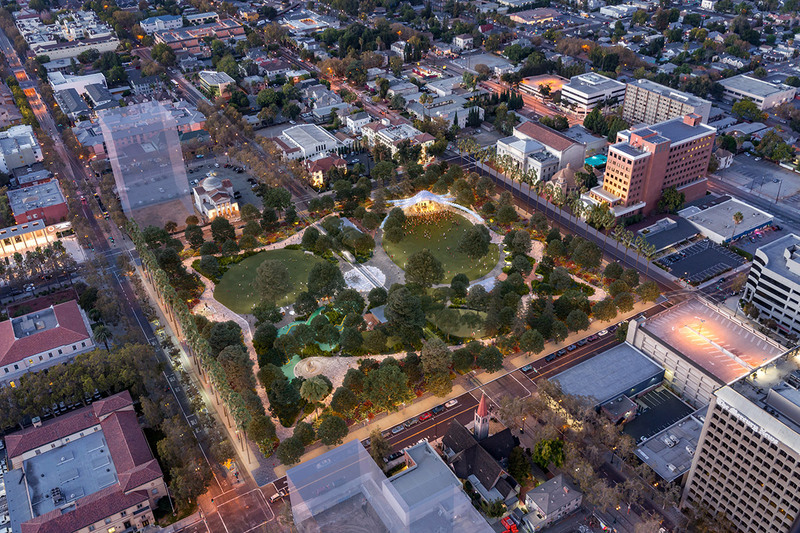 The City of San Jose will ultimately own the structure and will spearhead the related park infrastructure needed for the pavilion to be successful. An environmental impact analysis for the project is underway, and a design firm has been selected to ensure that all of the new park elements are well integrated, respecting the historic nature of the park. Finally, and most importantly, a non-profit 501-C3 organization, the Friends of Levitt Pavilion San Jose, has formed representing a cross section of the community that is passionate about music, community building, and the promise of a more vibrant St. James Park. See the Board of Directors and stakeholder list in “About Us” to learn more about the individuals and organizations who are involved in this effort. The initial design of the Pavilion is approved and the Environmental Impact Report is progressing. How will the Levitt Pavilion fit in with existing guidelines for the park? Levitt Pavilion already meets the goals of the Downtown Strategy Plan (2000) and the St. James Master Plan, which calls for the park to become more inviting, visually interesting, active, and family friendly. How it fits in a historic context will be studied closely as part of the forthcoming environmental analysis, which has included substantial community outreach. Will the Levitt Pavilion be a good neighbor? Yes. This project is meant to be neighborhood serving and specifically family friendly. Additionally, the environmental analysis will study all potential impacts, including noise, traffic and parking, and will recommend potential remedies. Where will it be, and how much will it cost? The preferred location for the Levitt Pavilion is in the North East quadrant of the park. This was the site of a former community center, and is nestled in a redwood grove providing noise and sight attenuation. The actual cost of the pavilion structure will be dependent on the design and other factors. While significant, the structure is a shell, and will be far less costly than other performance venues. A one-time capital campaign will be undertaken by Friends of Levitt to raise private dollars that will leverage a public contribution. How does this help the arts? Venues, and promotional dollars for the arts, are always in short supply, particularly for small to mid-size stages. Levitt performance calendars typically boast an eclectic mix of artists, and a family-friendly atmosphere, thus supporting the artistic groups most in need. How can something so specific be considered inclusive? What happens at the Pavilion when events aren’t happening? 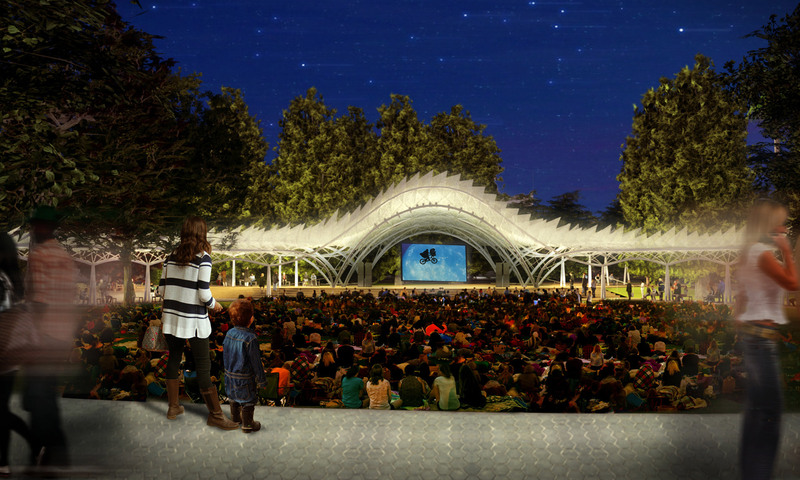 Levitt Pavilions are designed as complementary multi-use structures. Other Levitt venues have experienced a healthy dose of unplanned activities ranging from yoga to drumming to tai chi. Even more impressive is that community institutions such as universities and companies have clamored to move closer to Levitt venues to benefit from the vitality that the communities around Levitt pavilions bring.